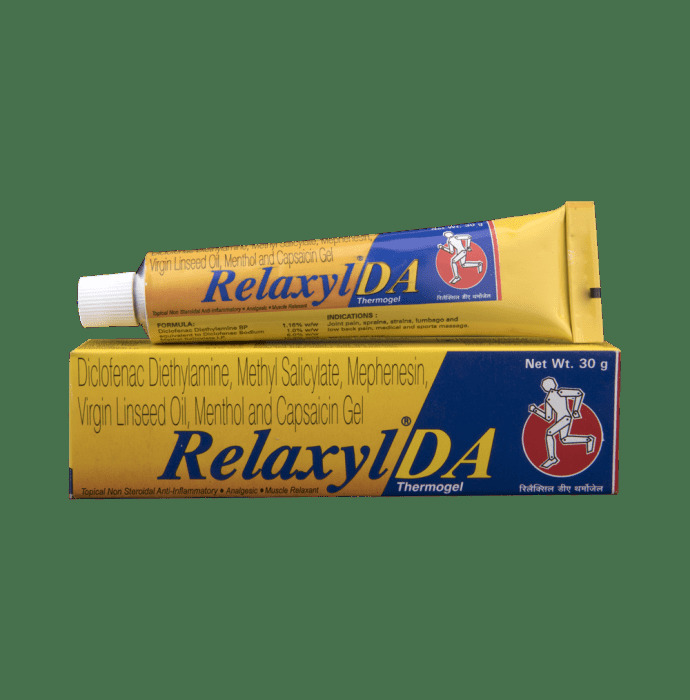 Relaxyl DA gel (applied to the skin) is used to relieve pain associated with recent muscle or joint injuries such as sprains, strains, or sports injuries. It also relieves pain from rheumatoid arthritis, osteoarthritis etc. 5. Capsaicin is a counter irritant which stimulates the release of a compound involved in communicating pain between the nerves in the spinal cord and other parts of the body thus decreases the intensity of pain signals in the body. Gently massage Relaxyl DA gel into the skin of the affected area. Allow the medicine to dry for at least 10 minutes before you wear clothes or gloves over the treated area. 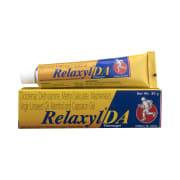 A licensed pharmacy from your nearest location will deliver Relaxyl DA Thermogel. Once the pharmacy accepts your order, the details of the pharmacy will be shared with you. Acceptance of your order is based on the validity of your prescription and the availability of this medicine.